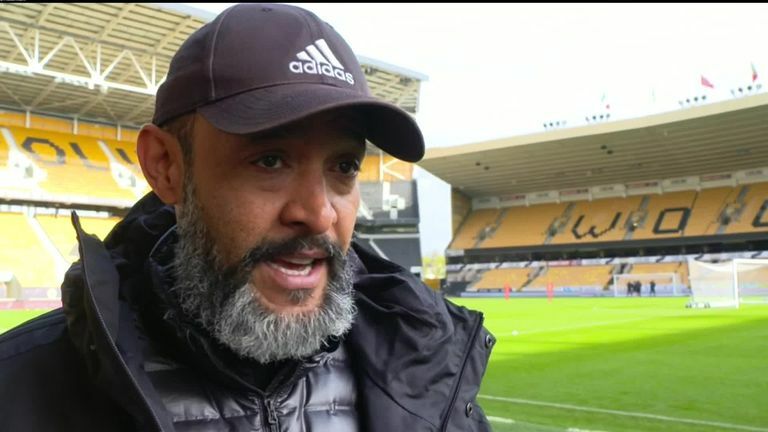 Wolves head coach Nuno Espirito says his team need to be more clinical in front of goal but he is confident they can arrest their current slide. Wolves play Tottenham at Molineux on Saturday evening, live on Sky Sports, following consecutive defeats against Brighton and Watford. It is the first time they have lost back-to-back league games since the Portuguese took over in 2017 but Nuno believes his newly-promoted team will soon return to the form they showed at the beginning of the season. "We have to react, I think we played well in the last two games we didn't deserve to lose so we have to maintain our highest standards," he said. "Everybody was frustrated and disappointed [after losing 1-0 at Brighton], especially the players because they felt we were the better team and we had chances. "I think how you play is very important. Of course the result can tell you a lot of things but it is how we play, how we create chances, how we manage to unbalance other teams and create opportunities and at the same time control our defence. We are optimists for the game [against Spurs]. "It is not the results, it is how you do things. We reacted from the Watford defeat when we didn't play well. We played well against Brighton so how we did it is what motivates us for the next game, it is not the results." 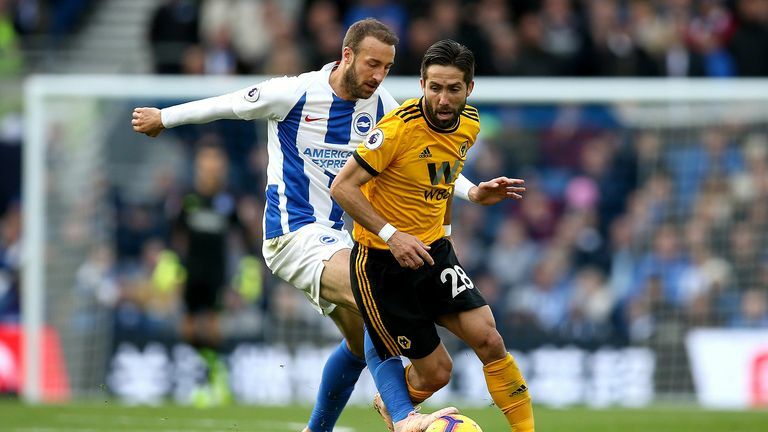 Wolves failed to score against Brighton and Watford and have netted just nine goals since returning to the Premier League, but Nuno is confident they will start to convert more of their chances. "I'm totally sure," he said. "We have to improve on the final touch but the difficult part of the game is to build, to create chances so that we can shoot on goal. We must work on the final touch. We will do so and naturally improve on it." Nuno has long admired Mauricio Pochettino and he is not surprised the Tottenham boss is being linked with the vacancy at Real Madrid. "Of course, I understand," he said. "He has built the team at Tottenham. You can see by the squad, the players that he has. You can see the routines that he has, he builds his own ideas with the players and he is a fantastic coach."